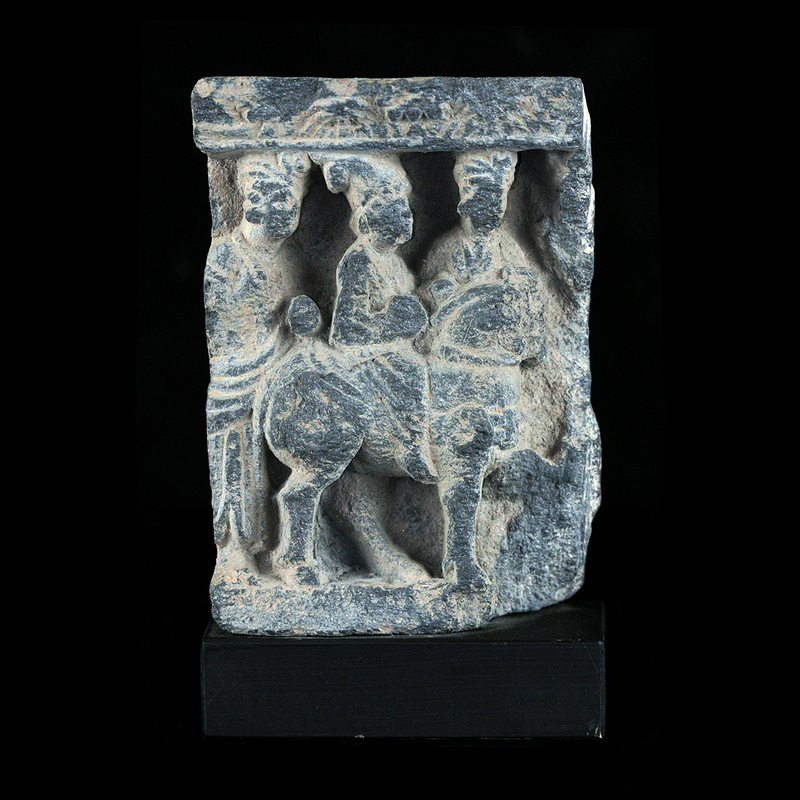 ﻿ Indian and Himalayan : Gandharan grey schist fragment depicting Siddharta on horse-back flanked by attendants. 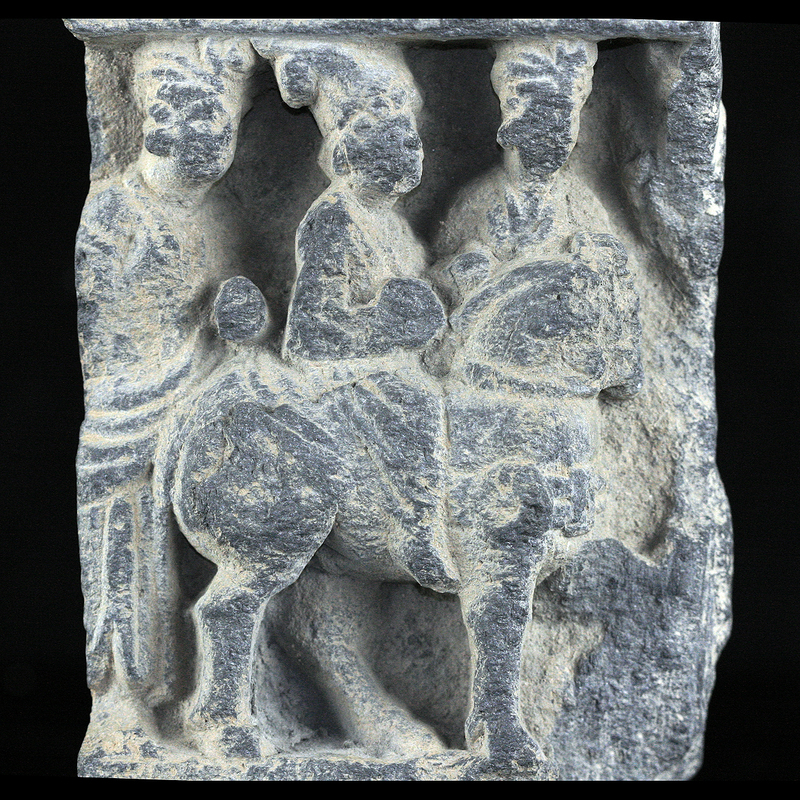 Circa 2nd to 3rd Century A.D., Pakistan / Afghanistan. 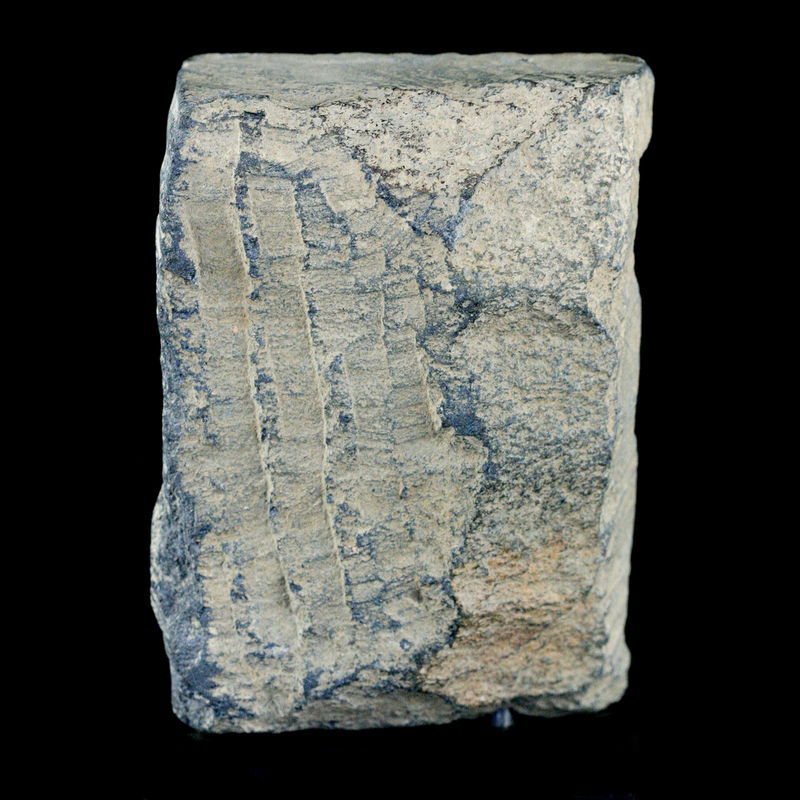 Ancient loss evident, presented on a custom display stand.